Hello everybody! 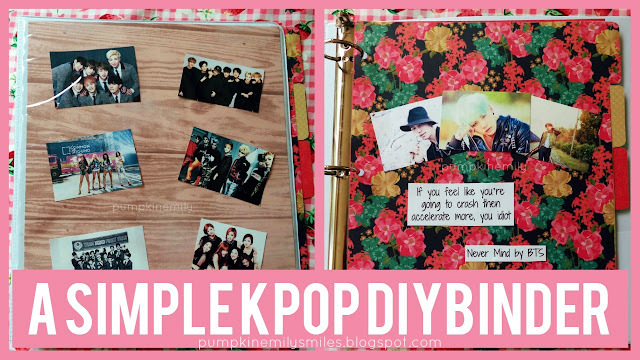 Today's DIY is a simple kpop binder. 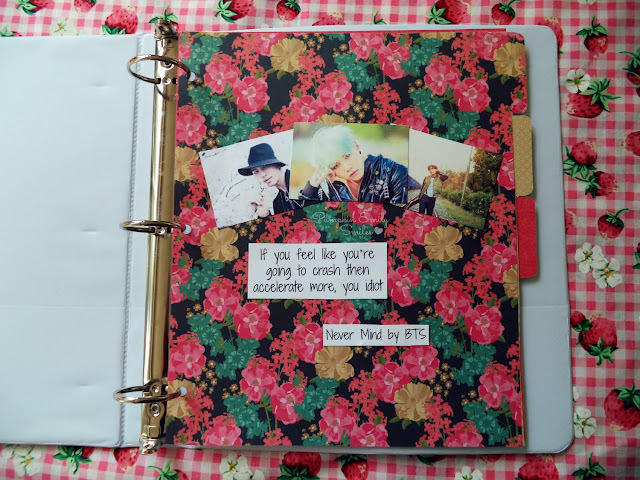 The cover has a band collage and the tab dividers have quotes from songs on them. 1. Measure how big your binder is before you start. 2. 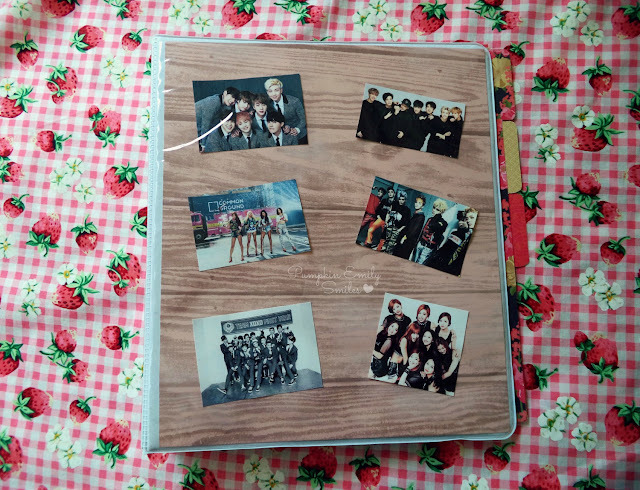 Make a rectangle shape for the front of the binder out of the scrapbook paper and cut the rectangle out. 3. Paint Mod Podge on the back of the pictures to glue them to the scrapbook paper. 4. Put the cover inside of the binder cover. 1. 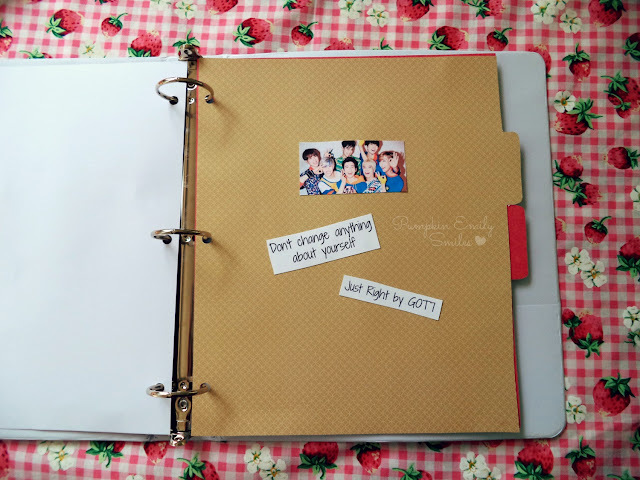 Trace the cover of the binder on to another piece scrapbook paper and create a tab. You should get something like in the pictures below and cut it out. 2. Do the same thing again but make the tab lower on the second piece of scrapbook paper. 3. Punch holes into the scrapbook paper. 4. Paint Mod Podge to the back of the pictures and the quotes and place them on to the scrapbook paper. 5. 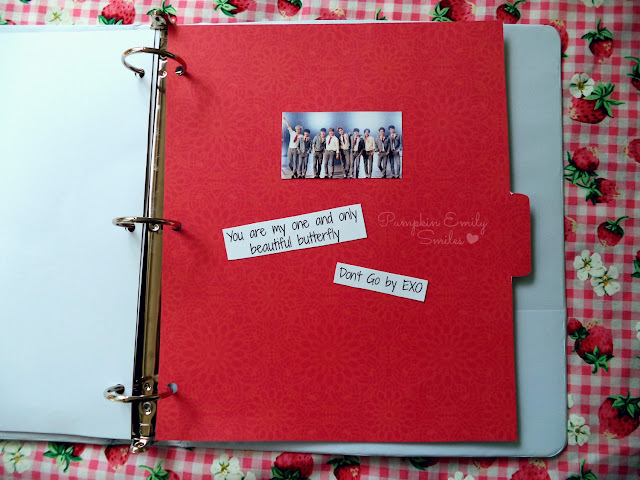 Place the scrapbook paper into the binder rings.